Here We Go! has large wheel-shaped tabs with differently coloured foils, making it a unique first vehicles book. 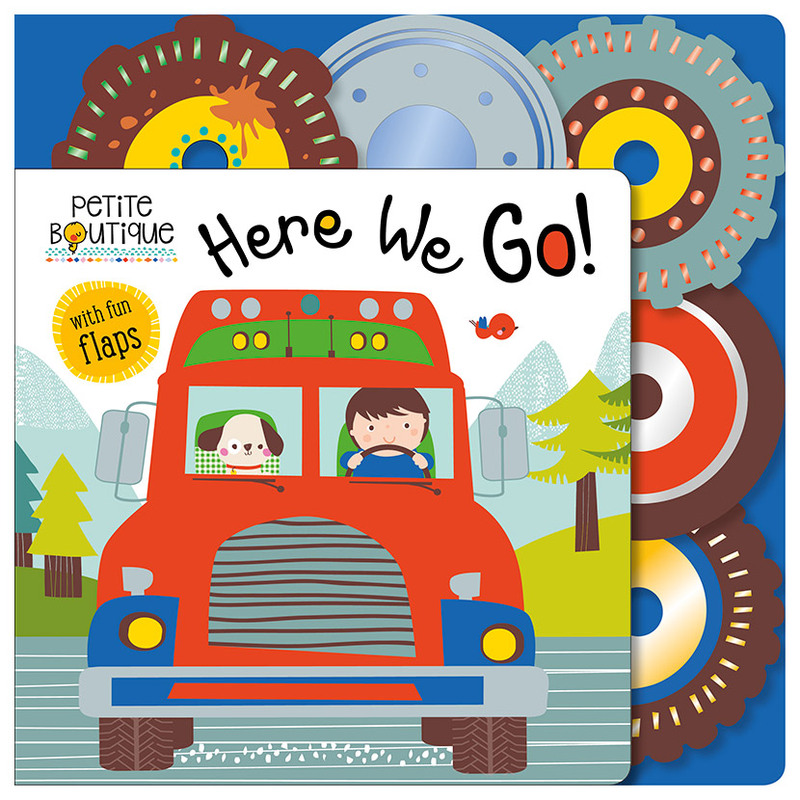 Young children will love lifting the flaps and looking at the charming illustrations while they explore the tractor, fire engine, racing car, train, truck and plane. This book is part of a gorgeous new range of illustrated baby books and other materials from Make Believe Ideas. Each title features beautiful illustrations from French illustrator Véronique Petit.